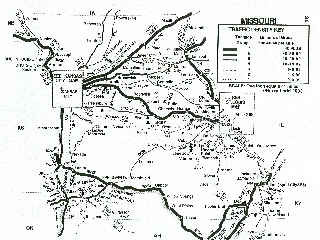 Click on above map for a larger image. 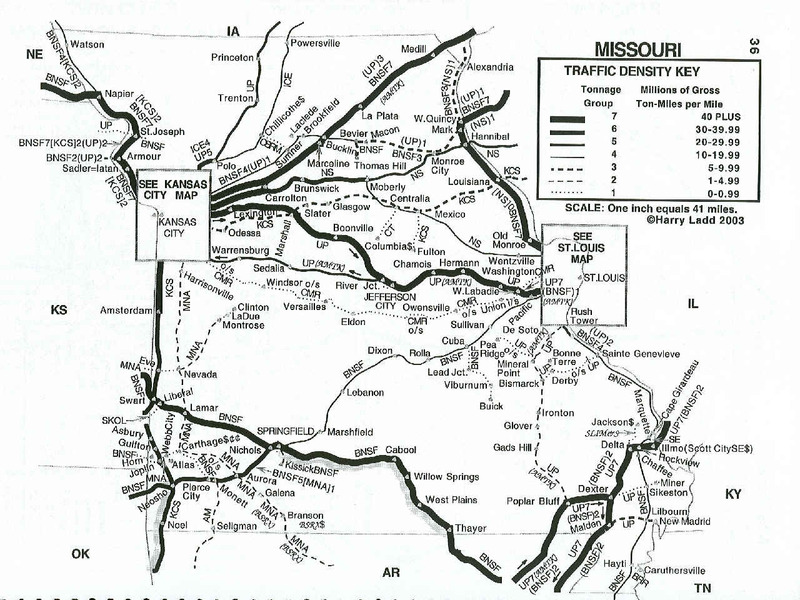 Maps show mainlines, shortlines, Amtrak, commuter and tourist lines. Amount of traffic is shown by line thickness. the newest commuter routes and tourist lines. Purchased by railfans, railroads, suppliers and shippers. the number of trains they see during their valuable vacation time. Domestic travelers use the maps to plot their drive along the busiest routes. Others drop by to ride every tourist line along the way. Roster shooters visit every shortline within reach! 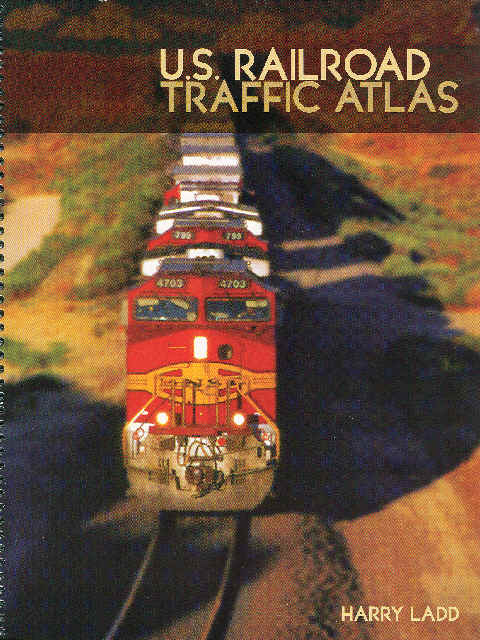 The Atlas has 100 pages in a convenient 8 1/2 X 11 format. visits since July 30, 1998.